About Us - Mantra Partner, LLC. Many believe that developing an executable business and marketing strategy means designing a nice logo, coming up with a catchy tag line or having a savvy online presence. While these are certainly important tactics for successful marketing, at Mantra Partner, we believe that building a meaningful brand, whether it’s your organization, your department or your personal brand, is ultimately about having a greater awareness of yourself, your market and your business goals. When it comes down to it, successful companies and executives understand the fundamental attributes that define and empower them to meet their clients’ needs, describe what they have to offer and communicate the benefits they provide to their clients that differentiate them from their competition. Your goal is to find your mantra and practice it in all you do. Our job is to make that happen. Marci Krufka Taylor is strategy consultant for professional services firms, corporate law departments and high growth companies. She advises clients on strategy, marketing and management issues, client relations programs and professional development. Marci also provides leadership, marketing and business development coaching to lawyers and executives and conducts mindfulness training programs for lawyers and legal organizations. Prior to launching Mantra Partner in 2015, Marci served as the Director, Marketing Operations for an AmLaw100 firm. 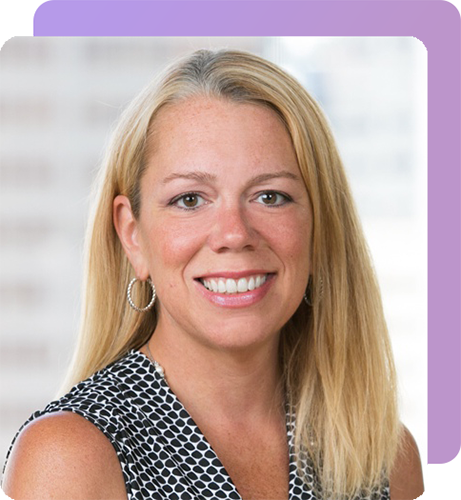 In that role, she was responsible for the management of the marketing operations team, key firm marketing initiatives and marketing and business development efforts for the firm’s 180+ lawyer Business Law Section. She worked on the firm’s brand refresh, headed the project management on the firm’s multiple new web sites and led the firm’s client satisfaction program. Her other responsibilities included directing public relations strategies for Business Law and the New York market, developing and implementing group marketing plans for seven practice groups within Business Law, developing business law-specific advertising campaigns and advertisements, creating firm and departmental marketing collateral materials, developing customized pitch materials and RFP responses, managing sponsorships and events, providing attorney marketing and business development training and developing social media strategies. Previously, Marci served as Executive Director for a mid-sized regional law firm, where she managed operations functions, including firm management, marketing, finance, human resources and information technology. Her key accomplishments in this role were developing and launching the firm’s new brand and web site, implementing a practice management and business development program that focused on practice and individual marketing/business planning, coaching and implementation as well as updating firm financial systems including implementing a dashboard system for real-time profitability metrics for firm management and lawyers. Prior to serving as an Executive Director, Marci served as a principal at Altman Weil, Inc. and provided strategy, management and marketing consulting services to law firms and law departments throughout the country. As a consultant, Marci handled hundreds of client engagements, including developing and implementing firmwide strategic plans as well as practice-specific marketing and business plans; coaching individual lawyers on marketing and business development; conducting client interviews and surveys for law firms and corporate law departments; developing and implementing practice group management programs; conducting training programs; planning and facilitating law firm retreats; and conducting law firm management audits and law department organizational reviews. She was a frequent lecturer for national and regional conferences (Association of Legal Administrators, Legal Marketing Association, American Bar Association, Defense Research Institute, state bar associations) and served on the faculty of Altman Weil seminars. She also authored numerous articles for publication in ABA Law Practice Management, New York Law Journal, Legal Times, Corporate Counsel and other business and trade publications. Marci began her career in the practice of law with a firm in Philadelphia. In her free time, Marci enjoys reading, tennis, yoga, meditation and most of all, spending time with her daughter. Contact us to schedule a strategy session to assess your current position and determine your next steps. Mantra Partner, LLC. provides strategy, management and marketing consulting for law firms, other professional services firms and high growth companies. © 2018 Mantra Partner, LLC. All Rights Reserved.